I can't believe it is almost time for the kids to go back-to-school! Summer just flies by, doesn't it? 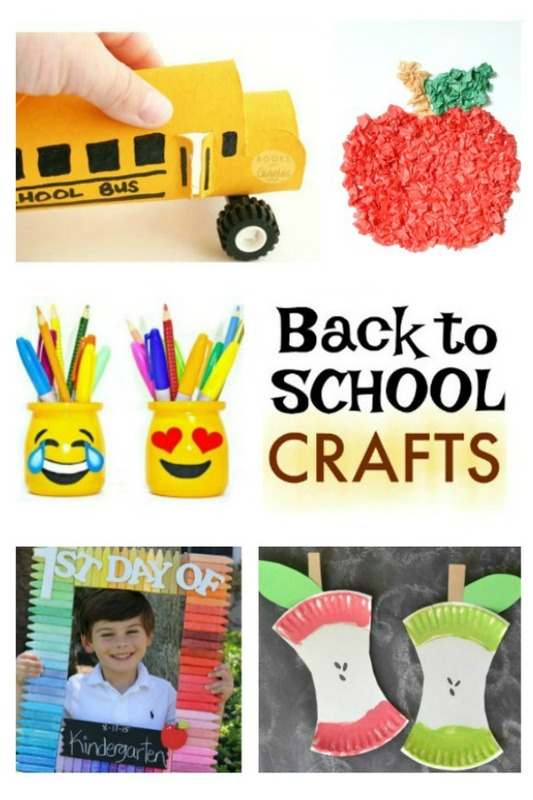 Help to build excitement and get kids in the right mindset with these adorable school-themed crafts. 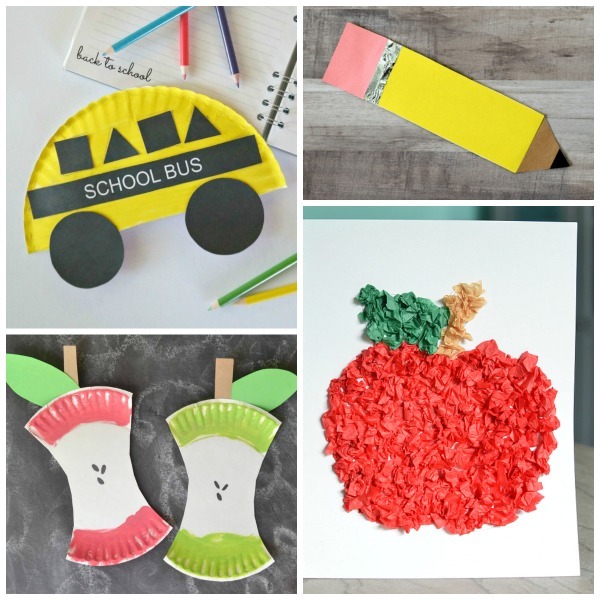 Make a school bus from a paper plate. 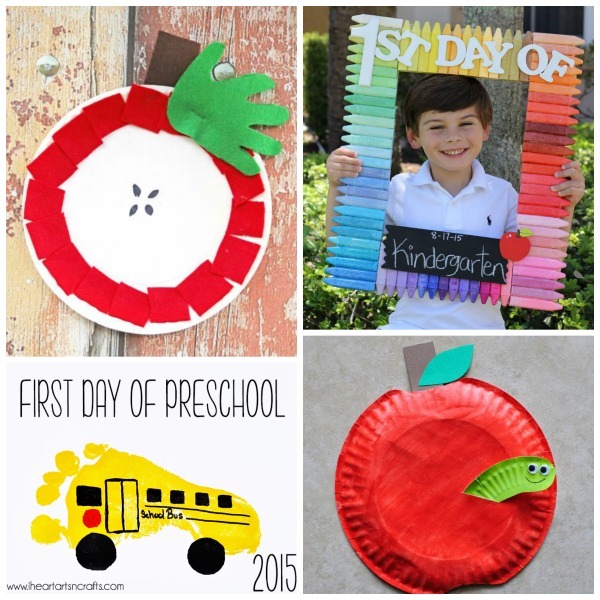 Make a paper plate apple. Craft a pencil from shapes. 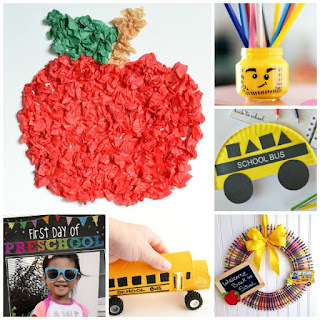 Use tissue paper to craft an apple; the kids can give it to their teacher on the first day of school! Use their little feet to make this adorable school bus. 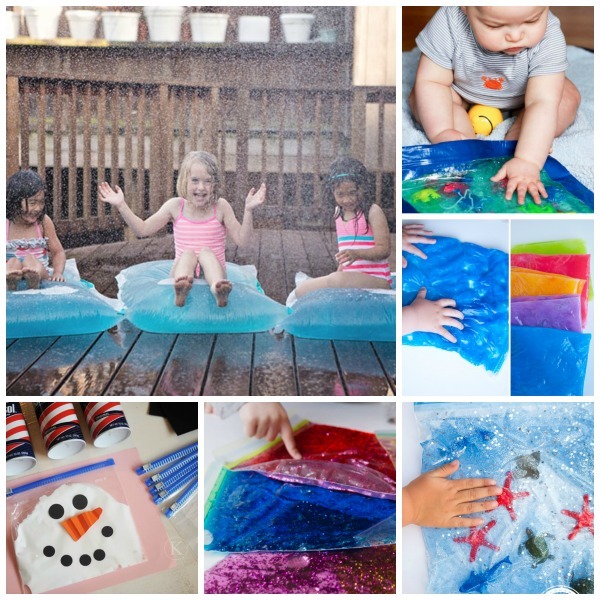 Have kids craft their own back-to-school photo prop; it can be used year after year! Make back-to-school cereal bars together. Use craft sticks to make a giant pencil. Paint a newspaper school bus. 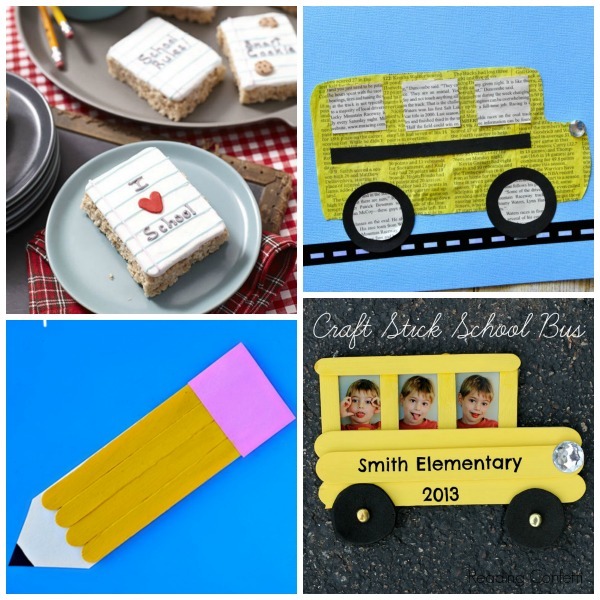 Make a school bus photo frame. 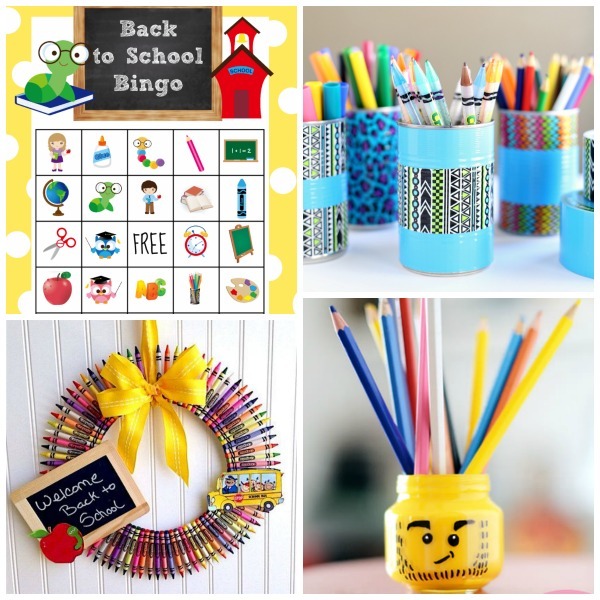 Print & play Back-to-School BINGO! Have kids make a back-to-school wreath for their new teacher. Use duct tape to make these cool pencil holders. Make a Lego pencil holder. Show your artsy side with this denim covered supply can. 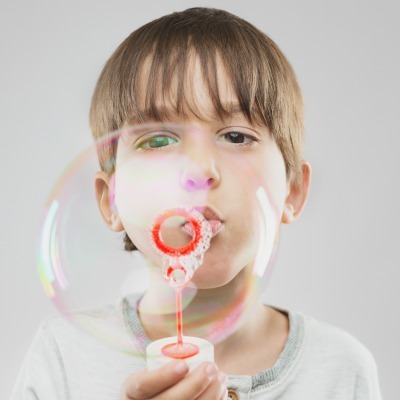 Make your own back-to-school photo booth. Make these ADORABLE mason jar pencil holders. 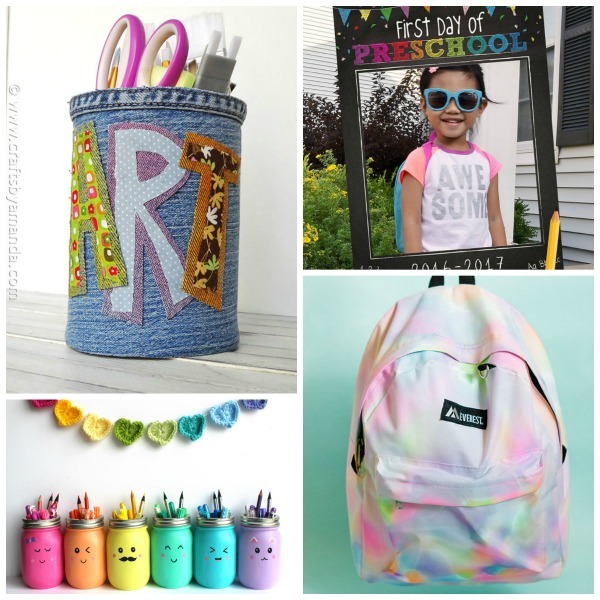 Let kids decorate their own book bag! Let kids make & decorate their own apple donuts on the first day of school. 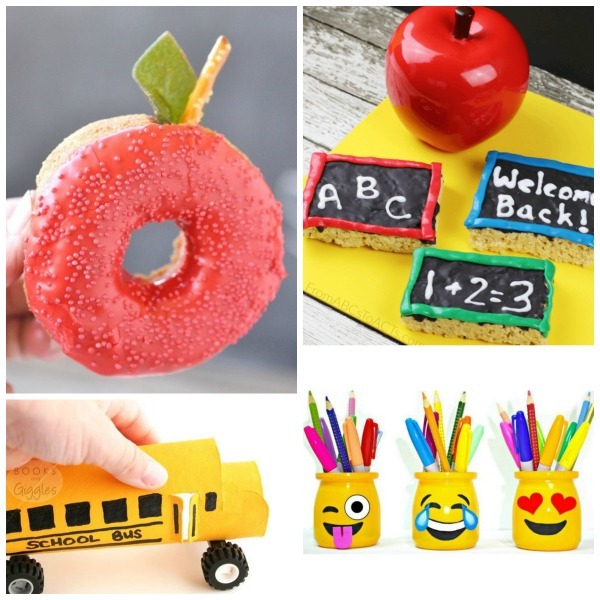 Transform a cardboard tube into a toy school bus. Make chalk board rice krispies treats together.